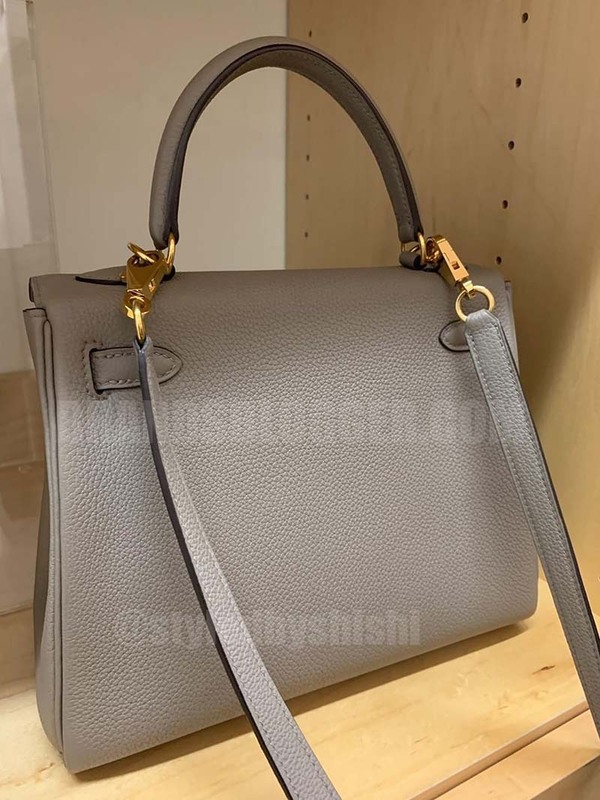 Hermes Kelly, it’s an everyday small bag with straps for ladies. It had a trapezoid shape, two triangular gussets, a sculpted flap, a handle, and good storage space. Nothing fancy, just a neat, plain, functional bag intended for independent, energetic women. 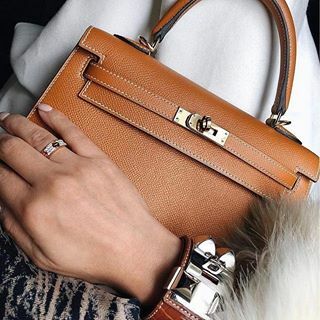 Hermes Kelly comes in two styles: Sellier which has a more structured shape with rigid corners and exterior stitching with no visible piping and a sharp edge shape, and Retourne which has a more relaxed shape. 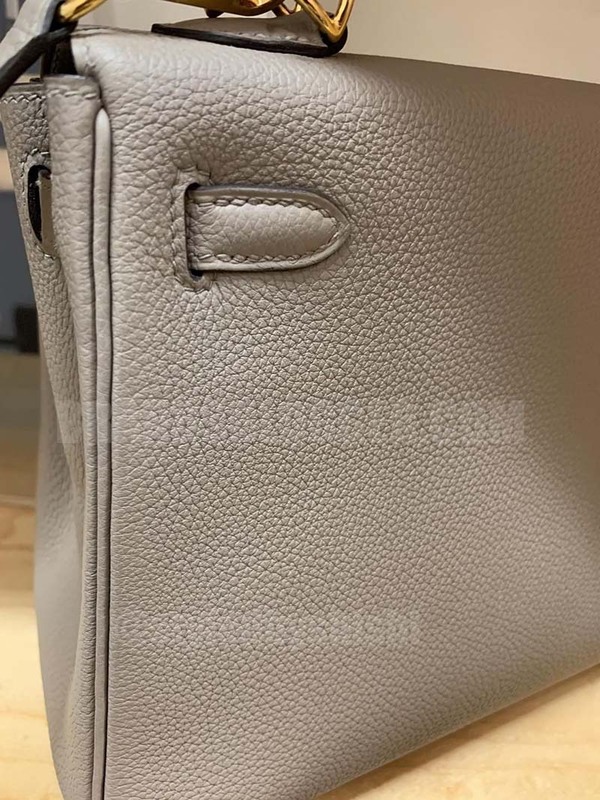 During the manufacturing process, the bag is turned inside out. 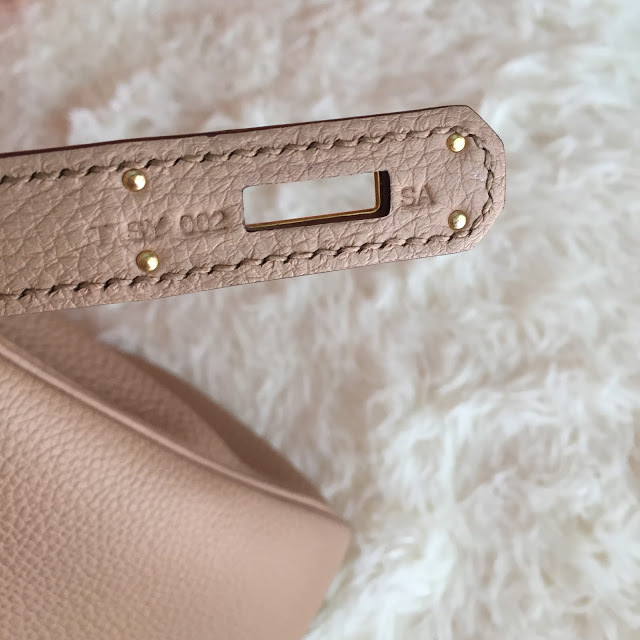 The stitching on a Retourne is on the inside. 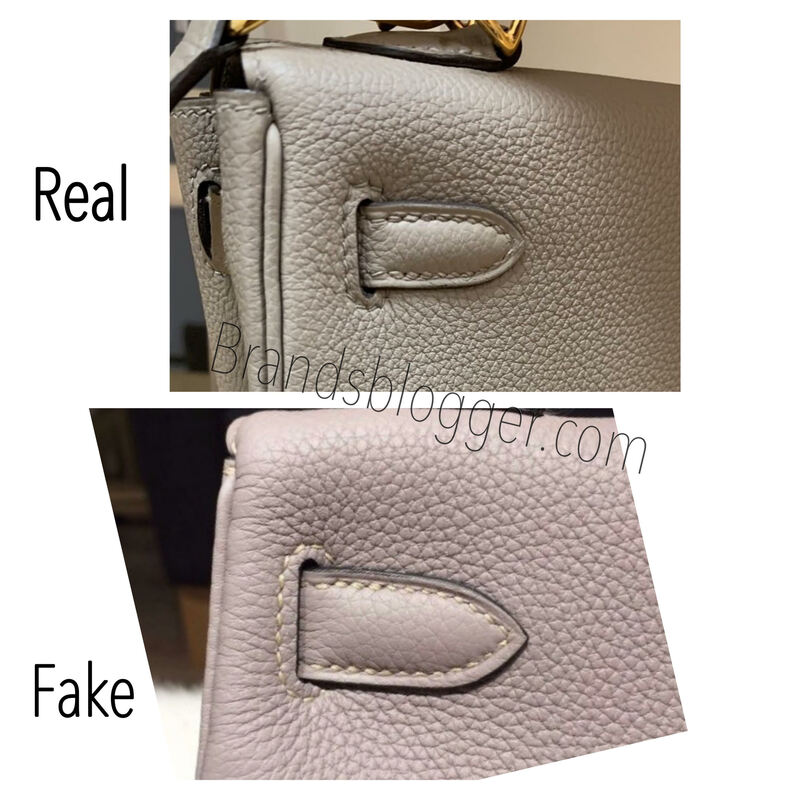 Unfortunately, counterfeiting has become very popular nowadays especially with this brand because they are so coveted and very expensive and it gets really difficult to tell the difference between real and fake because the fakes are getting very good. 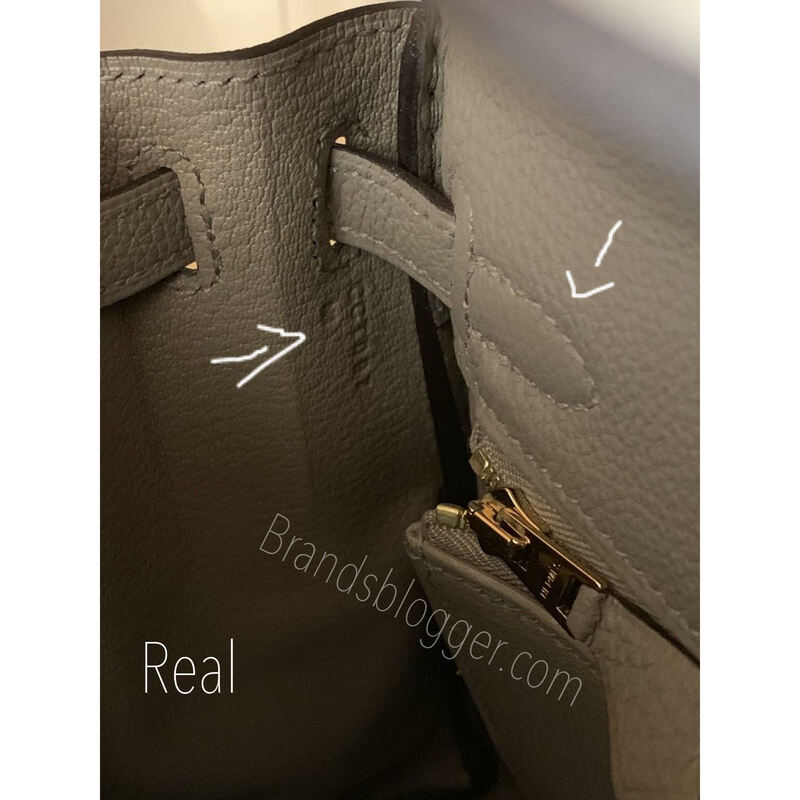 Today I’m going to give you some tips to spot the fake bag easily. 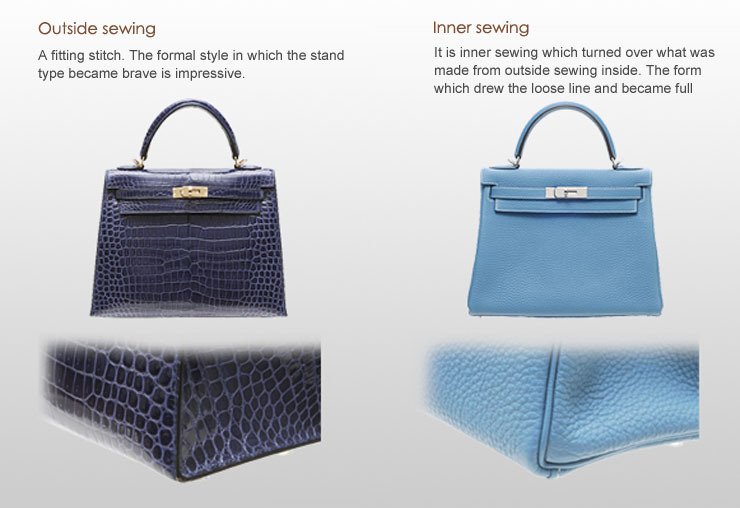 In the picture below there are two Hermes Kelly, Sellier in the left and Retourne in the right. 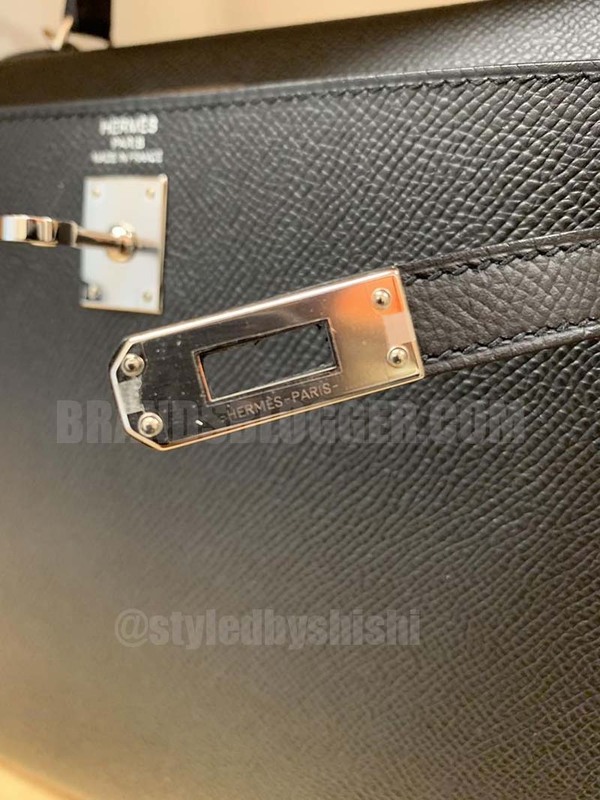 The stitchings in all Hermes bags is done by hand which means it gonna be meticulous, but it’s not going to be absolutely perfect. 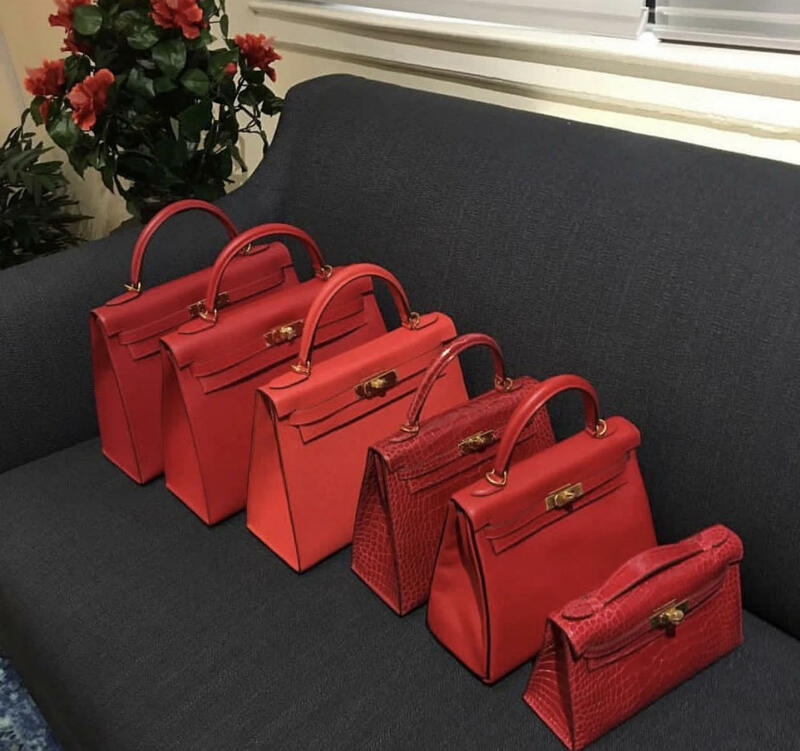 In the fake Hermes bags, the stitches are done by machine because the machine can produce them faster so the stitches will be the same size and the same distance apart. 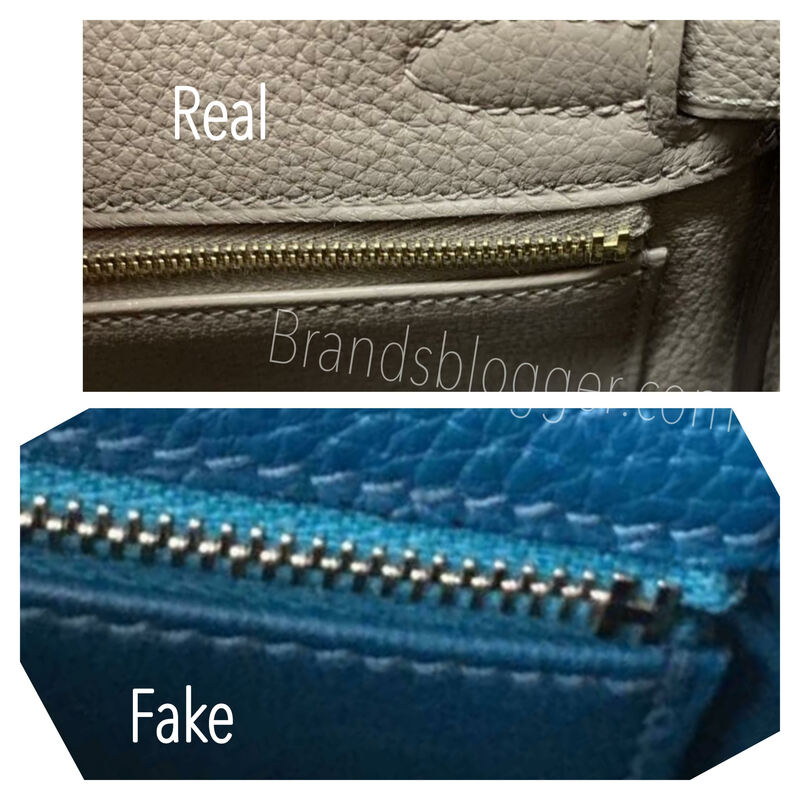 In the authentic Kelly, the stitching color matches the color of the bag, in the fake one, it doesn’t really matter. 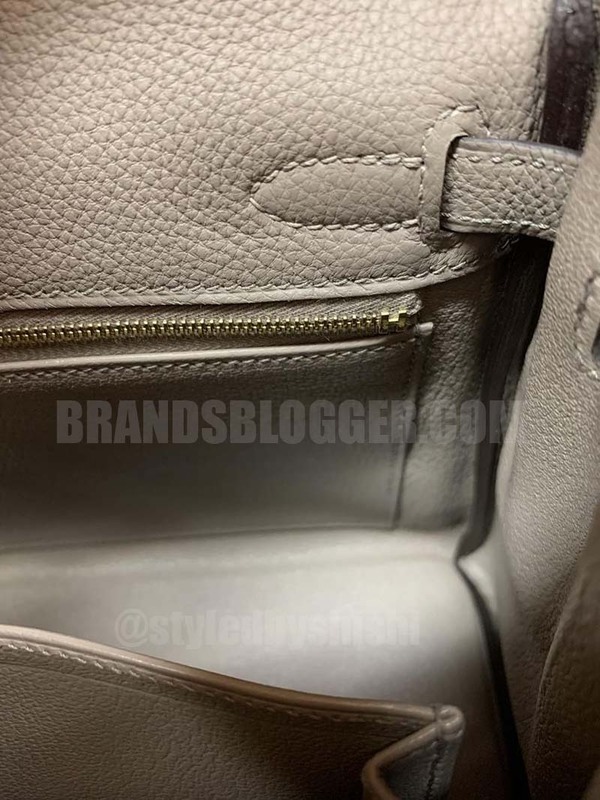 The leather in Hermes products is going to be the finest quality. 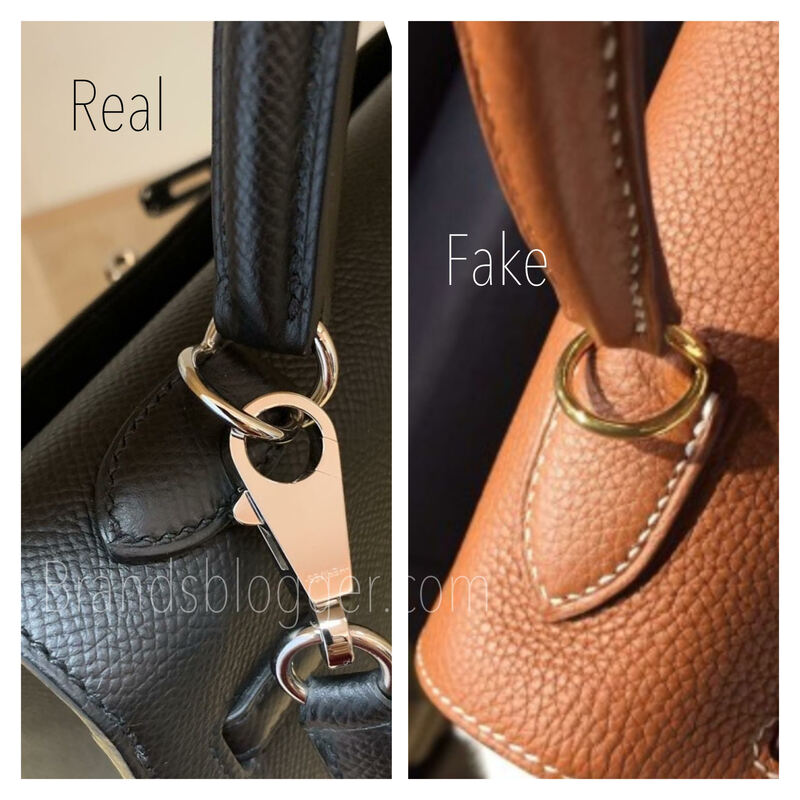 If you can touch a real and a fake Hermes bag you can easily see the differences. 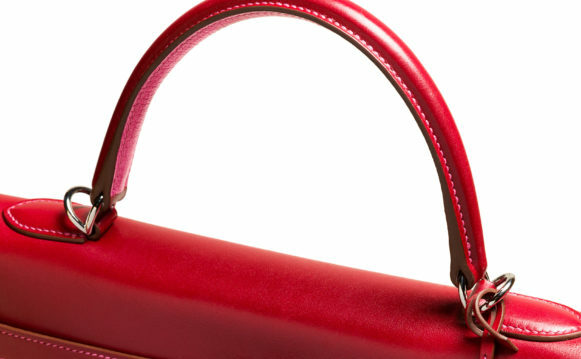 A real Hermes bag leather feels soft and supple and it doesn’t have a coarse feel. 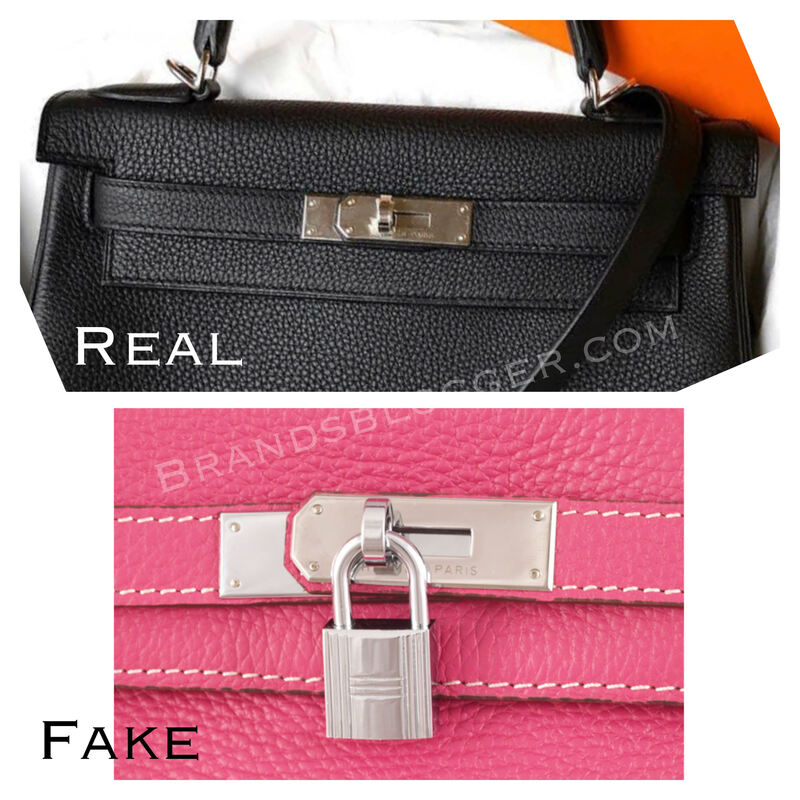 Whereas a fake bag has a little bit more plasticky feel to it because the leather isn’t as genuine. The smell. 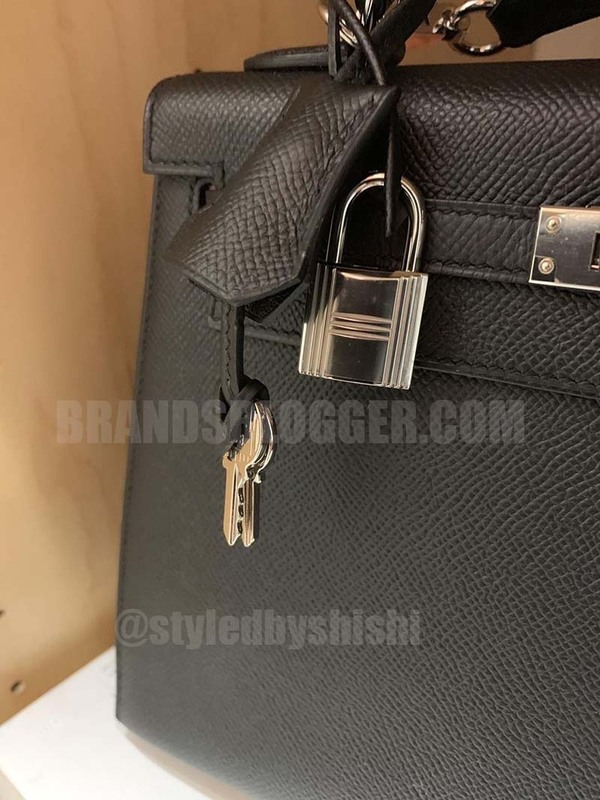 In the fake, leather will smell different from the authentic Hermes Kelly bag, in which you can smell the genuineness of the leather. The fake ones are going to have more a plasticky smell. 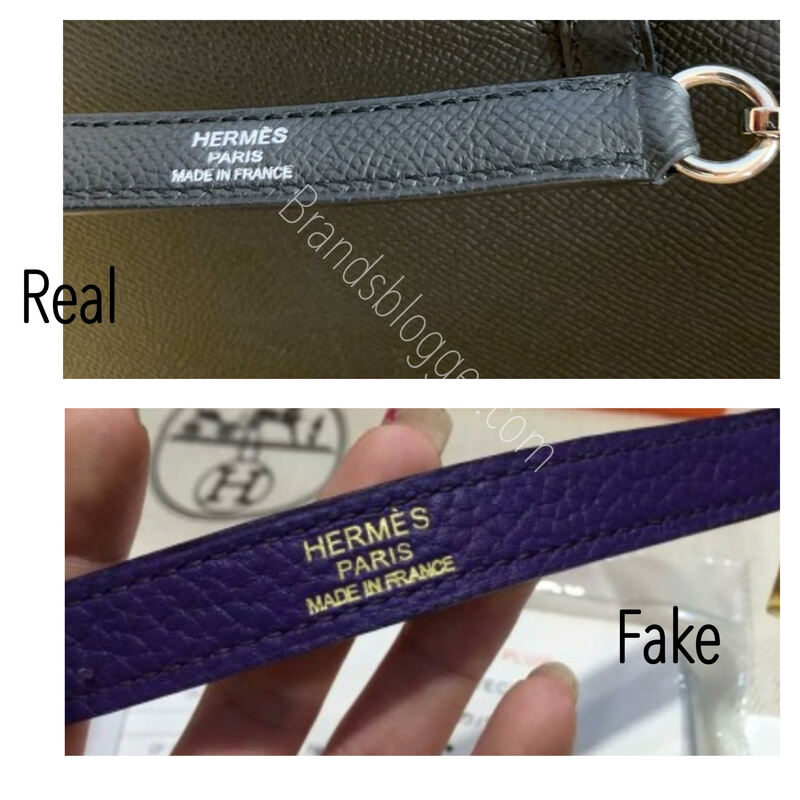 So a real Hermes addicted will immediately notice the differences. 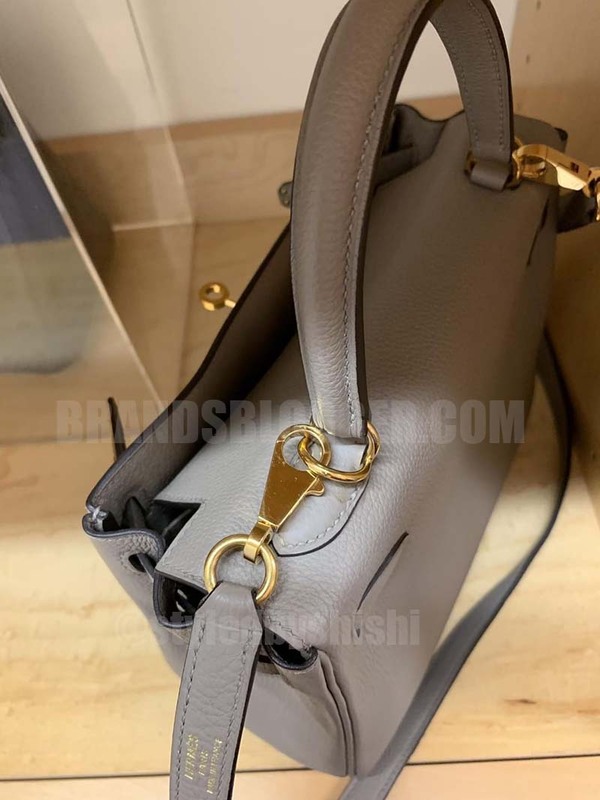 It gets really hard to do that because the replicas are becoming really good, but I will give you some other tips to make sure that you will get familiar with authentic Hermes bag and no one can fraud you. 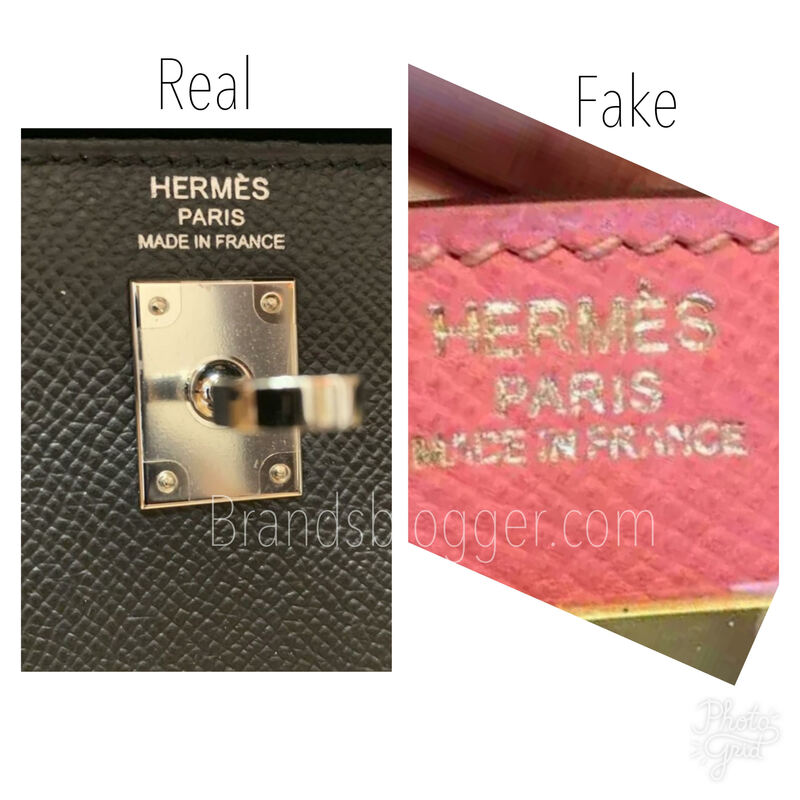 Hermes bags have NO authenticity cards! They never have. 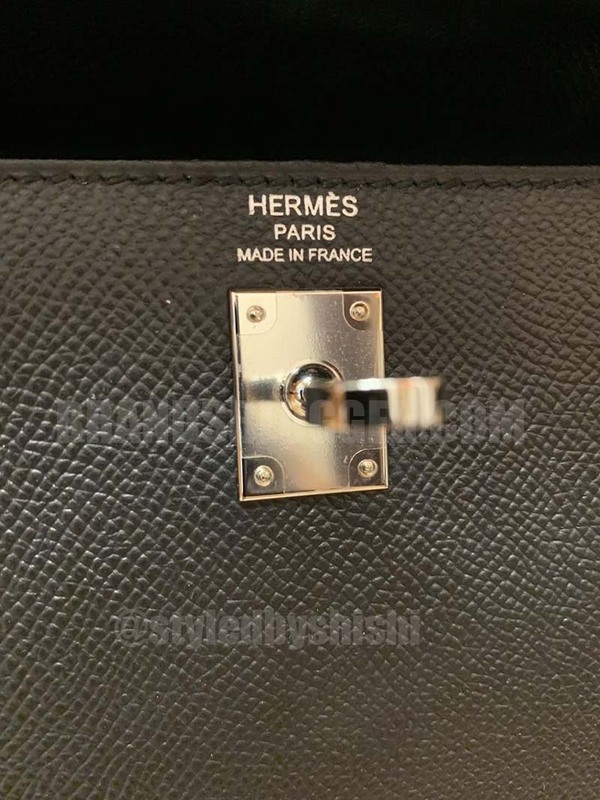 Many fake Hermes Kelly bags come with orange plastic credit cards. If the bag comes with one of these cards, it is a replica. 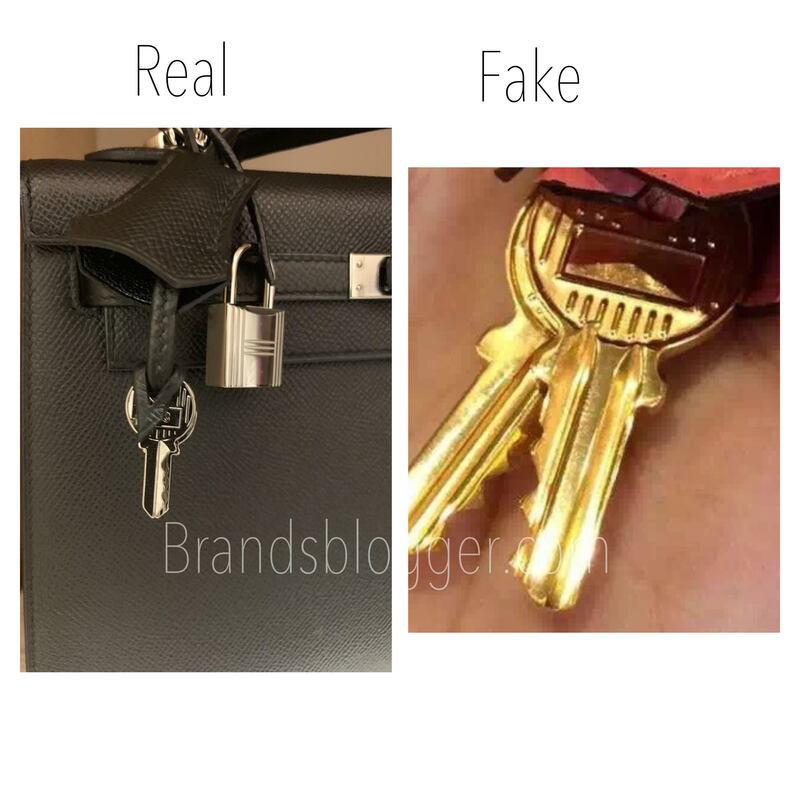 take a look at the picture below, if someone is selling you a Hermes bag with a card, it’s a replica. The dust bag is of high quality. The color of the dust bag some years ago used to be orange. 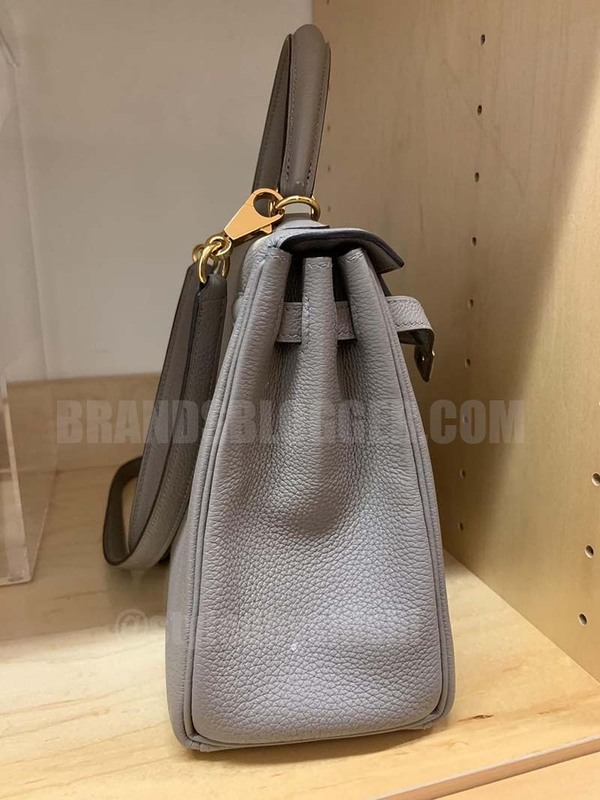 Nowadays the color is a light beige with a dark brown Hermes logo on it. 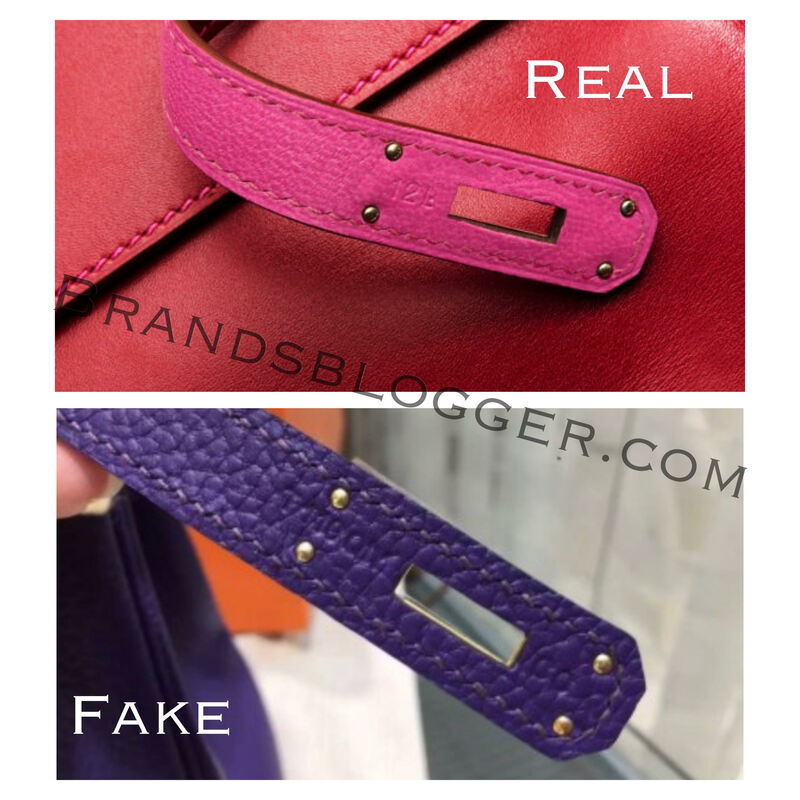 Whereas in the fake Hermes, dust bags often come in a grey color and feature a burgundy colored stamp. The authentic dust bag it’s heavier and thicker, whereas the fake one is much thinner, smoother and limp. 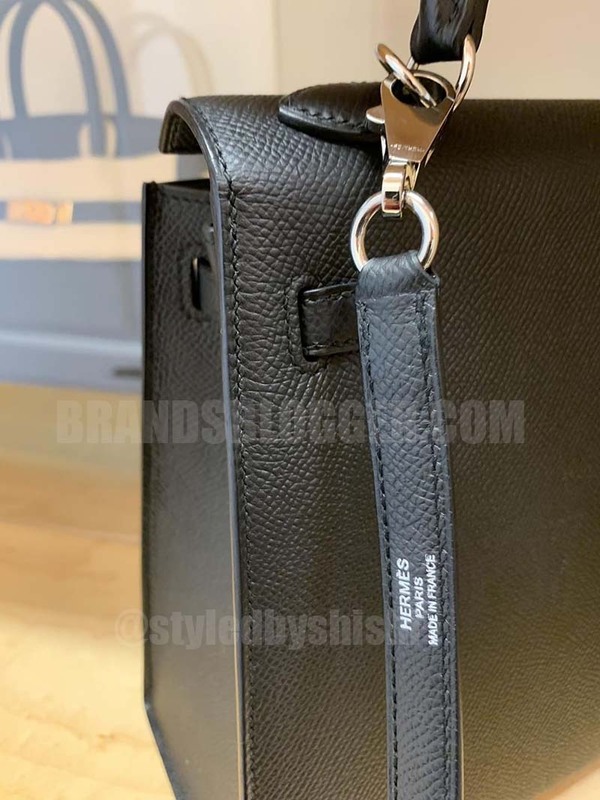 The real logo of the dust bag has a double circle on the outside and if you take a closer look you will notice the difference in the font for the H, also the circle surrounding the H is different. The line underneath the horse and the carriage, there are two lines under the real one, in the fake, there is only one single line. There are finer details in the horse as well so you have to pay attention to the logo of the real one and you can find the differences by yourself. 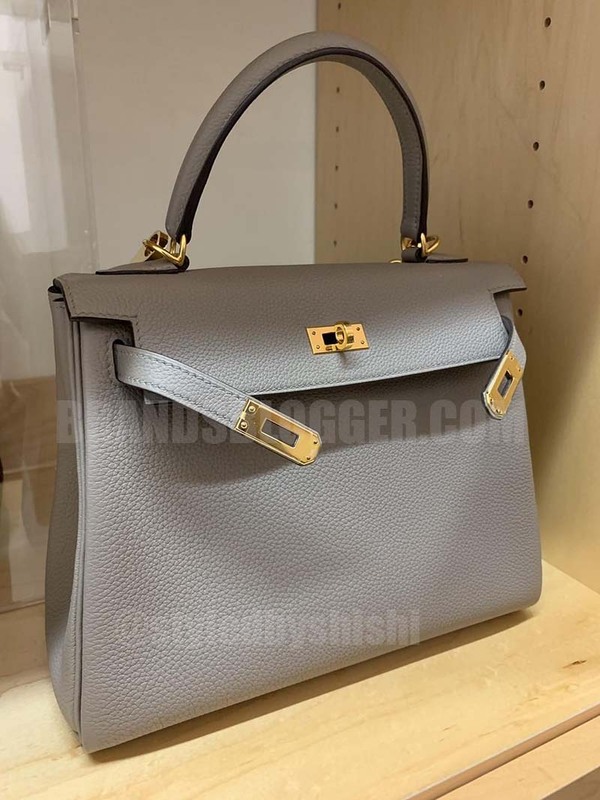 Here you have a real Hermes Kelly with its own dust bag. 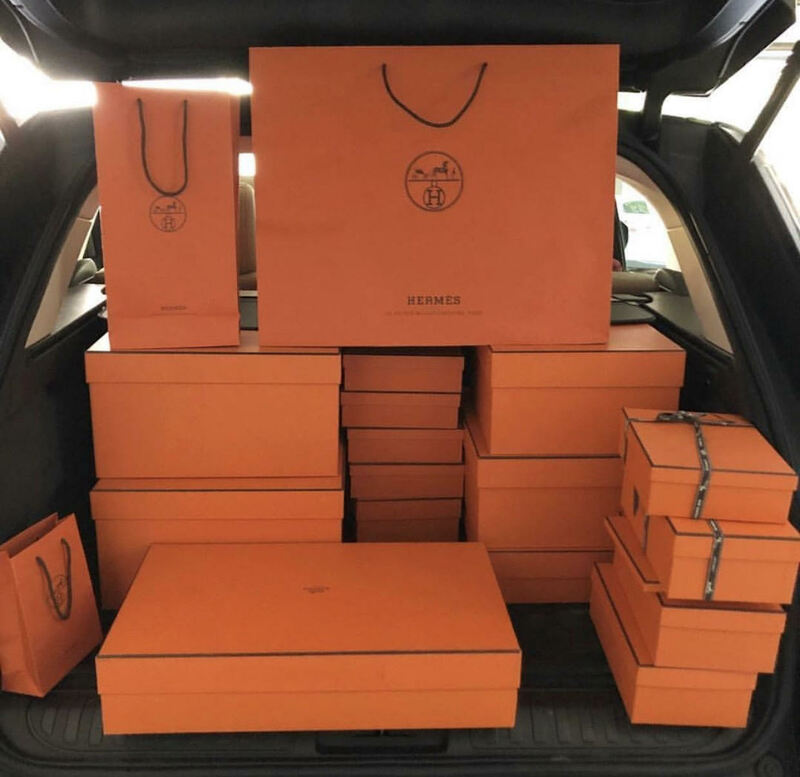 The logo of Hermes is this that you see in the picture below, and in the dust bag, the details of the logo remain. 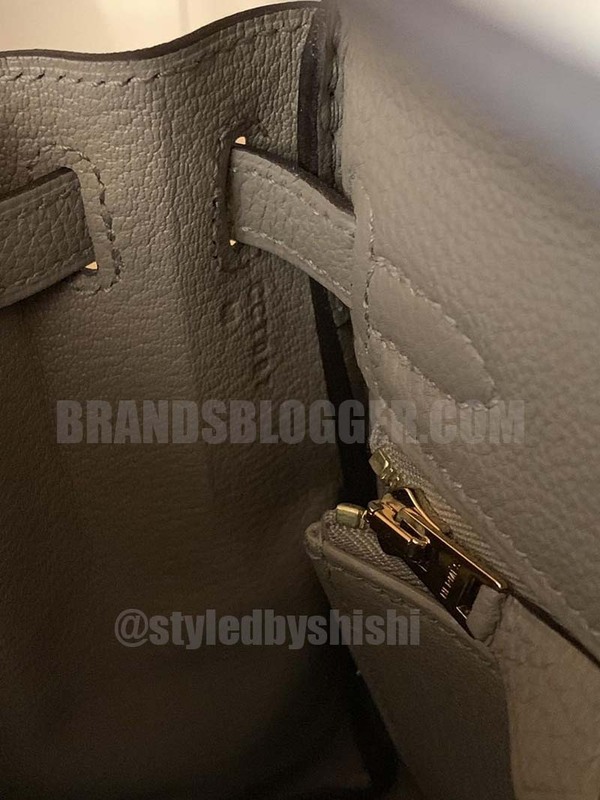 The toggle on the authentic Hermes is very smooth, there is not sort of interruption s you turn it. 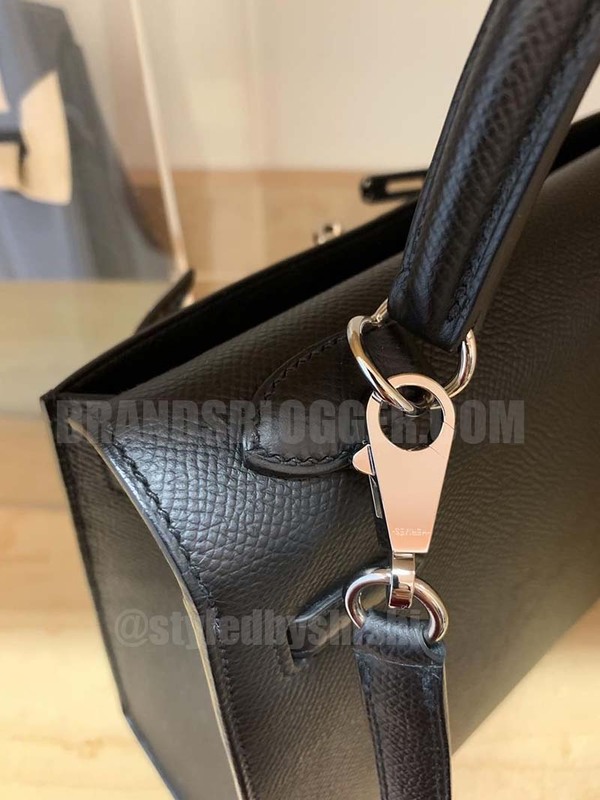 It doesn’t feel grainy, it hasn’t no granule sort of slip that happens.in the fake one, there is a little bit sort of slip, it doesn’t have the same smooth quality and you can feel the difference when you turn it and the fake Hermes is very difficult to close. The real one opens without a problem it fits perfectly. 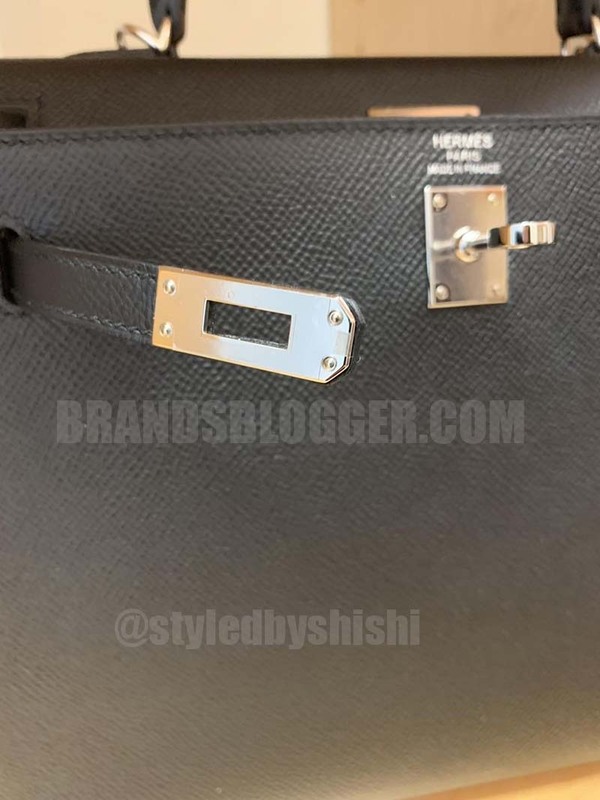 In the real Hermes, there is a metal plate and it’s perfectly centered on the leather strap, it also has a very crisp clear stamp. 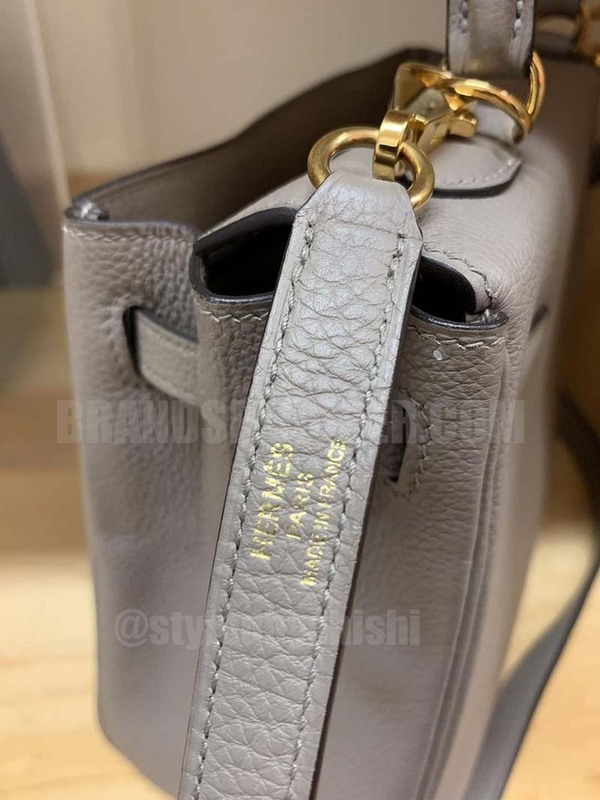 Hermes pays attention to where and how their name is stamped on their product. 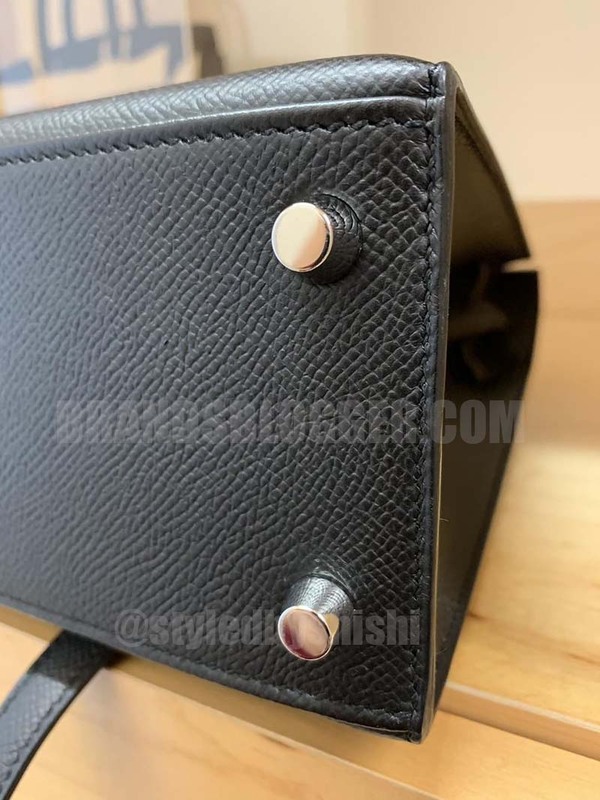 In the fake one, this is not as important, so the plate is not placed on the center of the leather strap and the stamp is not as crips as it should be. At all times these metal platings need to be straight and beautifully aligned, and it should never be sloppy. In the fake one, we see that the plate is not only crooked but also the metal is not straight and to sloppy. Sometimes in the fake the plate goes a little bit diagonal and way to low. “The sangles, or straps, secure the bag closed and have metal plaques on either end. 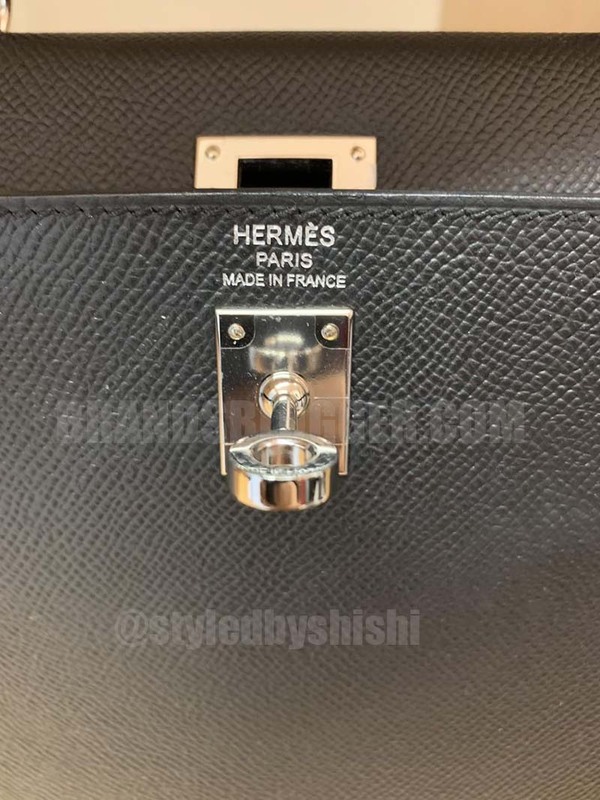 The right-side plaque will have ‘Hermès – Paris’ engraved on it. Vintage styles will have ‘Paris’ below the brand name rather than beside it,” says Wetzbarger. “The spindle should be well-secured and have even tension going all the way around. When turning, it should not feel too tight nor too loose or have a gritty feeling. That would not be a sign of a high-quality product. 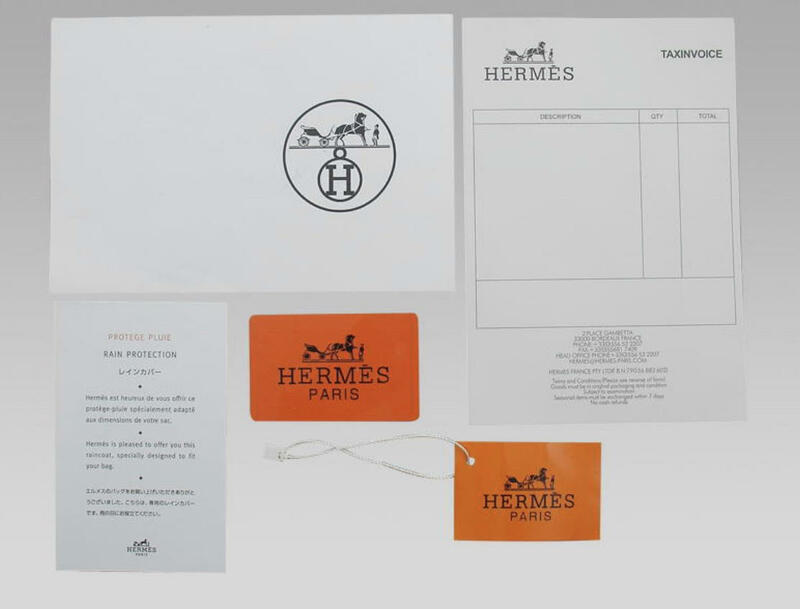 All Hermès will have a stamp which indicates two things. The age which will be in a square with a letter and a numeric ID which will ID the artisan. 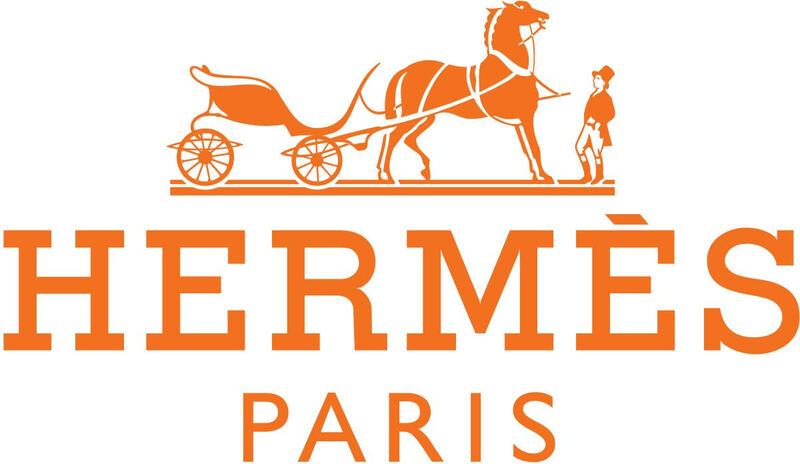 There are two stamps featured on Hermes bags – one is the Hermes logo located on the front center of the exterior of the bag and the other is on the back of the flag indicating the year and material used. The stamping should be neat and hard. On a fake it tends to be faint and weak. 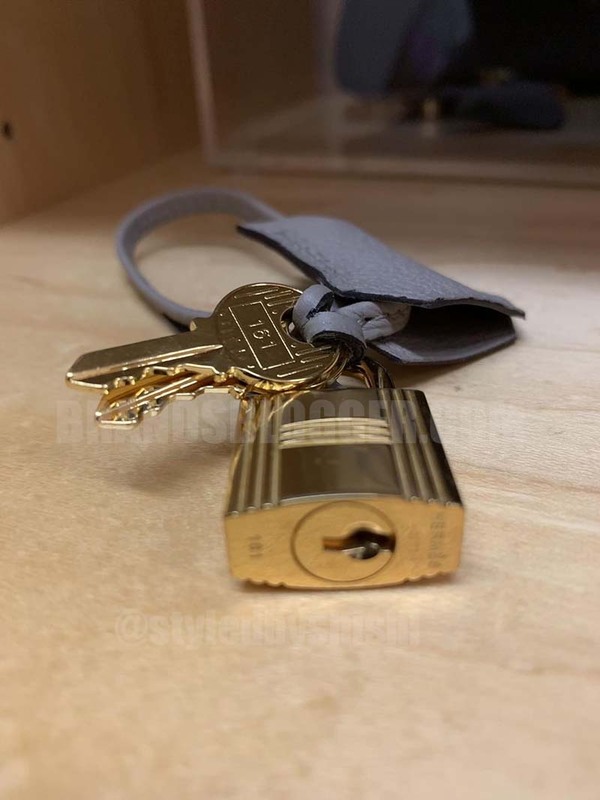 If you look at Hermes stamp is going to match the same color as the hardware. A silver stamp in the bag, the hardware should be silver too. Its gonna be crisp and clean. 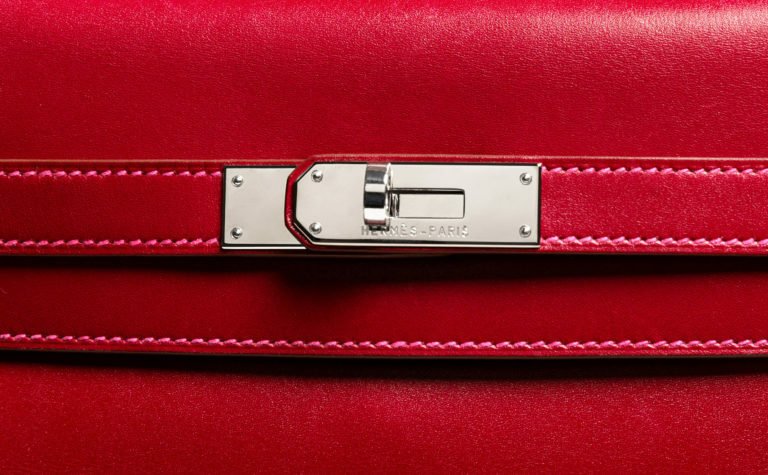 Hermes takes pride in their products and they will make sure that their name looks good. 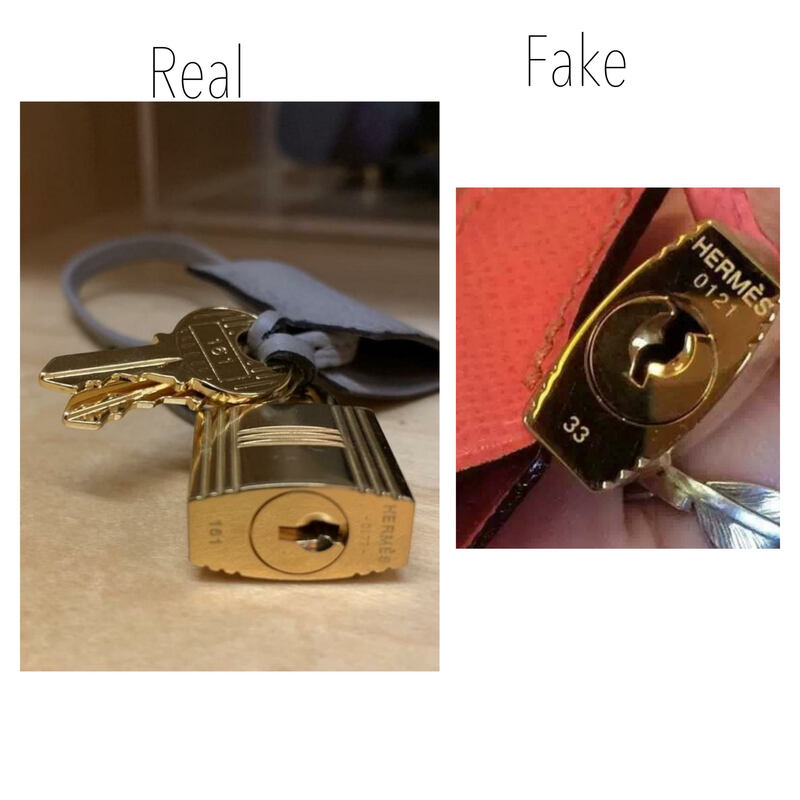 Sometimes in the fake, they can match the color of the stamp with the color of hardware but the stamping is not what it should be. The size of the stamp in the fake is not quite right. 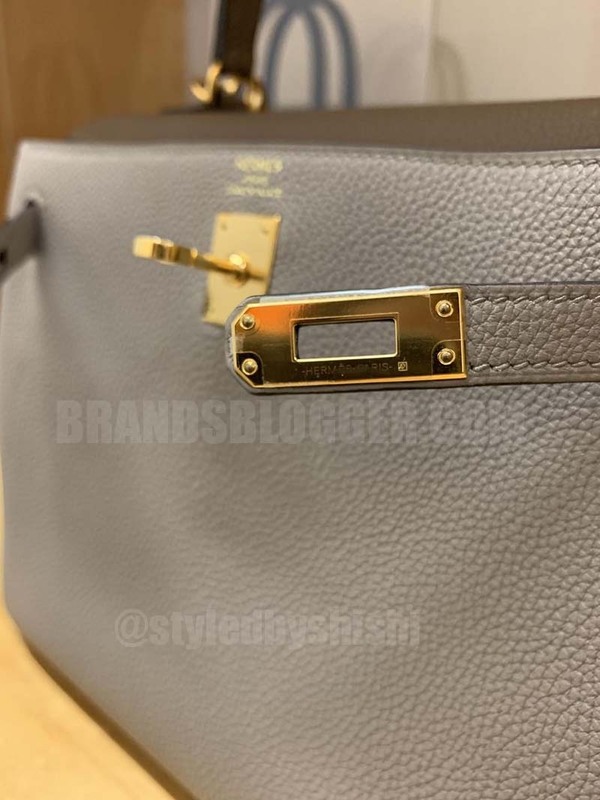 The gold version of the Hermes bag is gold plated so you always have a marking that indicates that is gold plated. 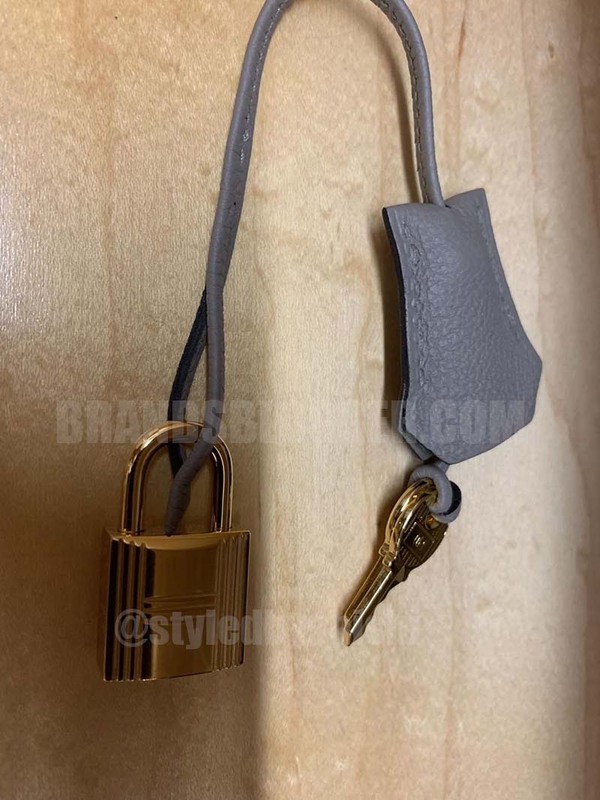 Hermes is going to make sure that their keys are wrapped in leather, in the fake one the keys are put on a metal ring, the lock has a Hermes stamp on it that stands pristinely. 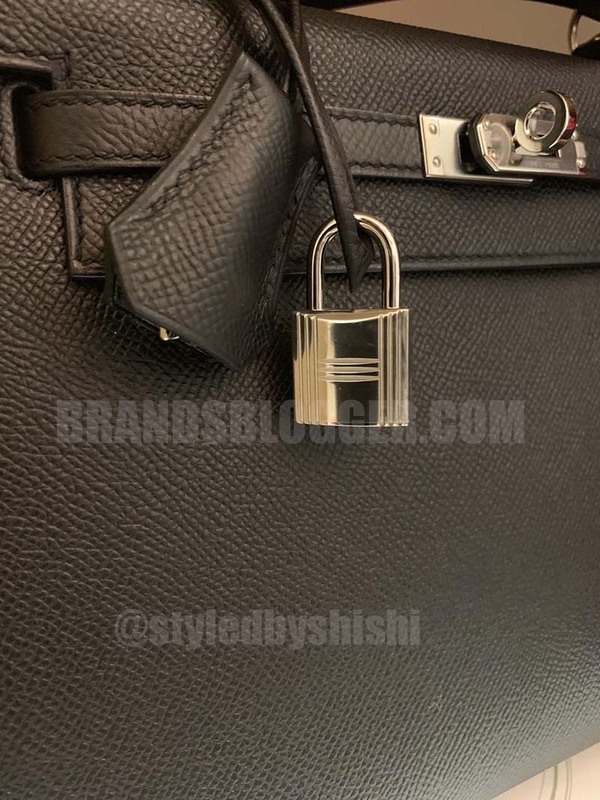 An interesting fact about the lock in the Hermes bag is that it has a little bit of a groove where the key goes in, whereas on the fake lock they use a cheap lock. In the fake has the stamping but not as clean and crisp as the authentic one. 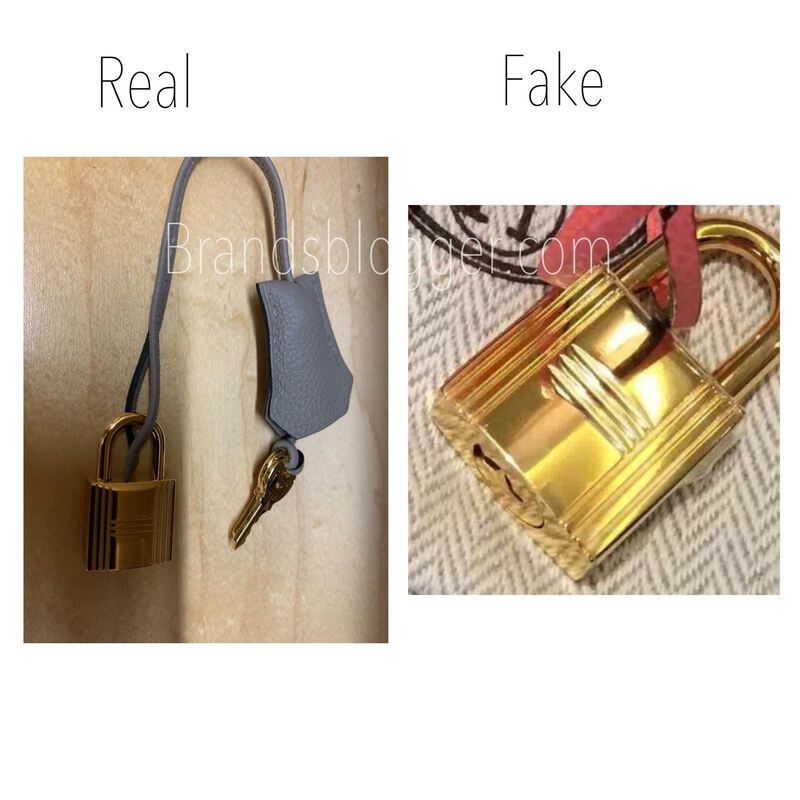 The weight of the real Hermes lock is heavier than the fake one. 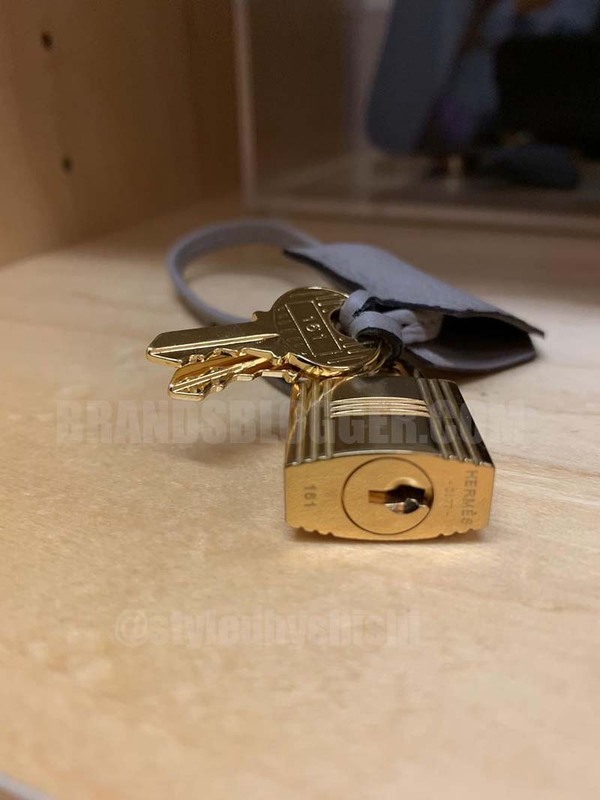 You also can see the keys numbers underneath your lock that need to correspond with the numbers on your keys.if not you probably have a fake on your hands.all of these engravings need to be clean and precise, and all engraved not laser where done sloppily. The zipper is a very important part. 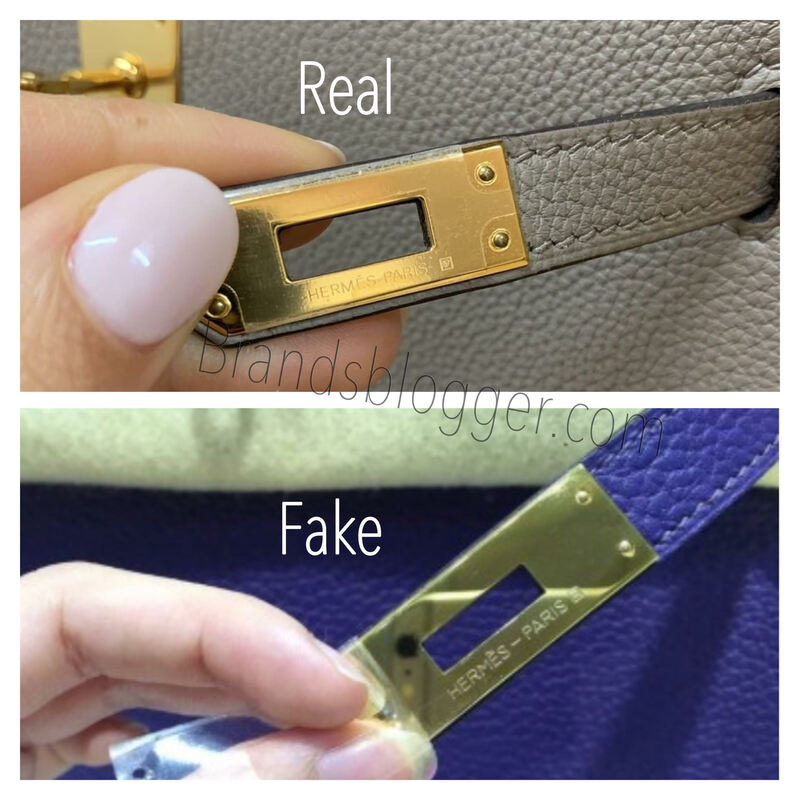 The zippers are never plastic, they are always metal and not the fake metal you see corroding or even chipping. 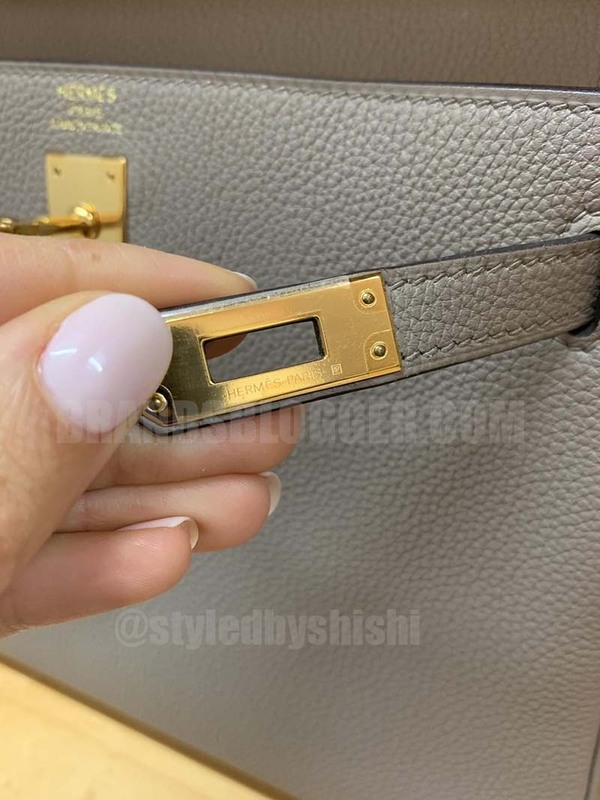 It has the beautiful age of Hermes on the end of the zipper.remember, all of the Hermes bag are hand stitched so it is possible that you have little imperfections here, and if not that will be concerning because no Hermes bag is made by machine, its all made by hand. So keep an eye out for that as well. 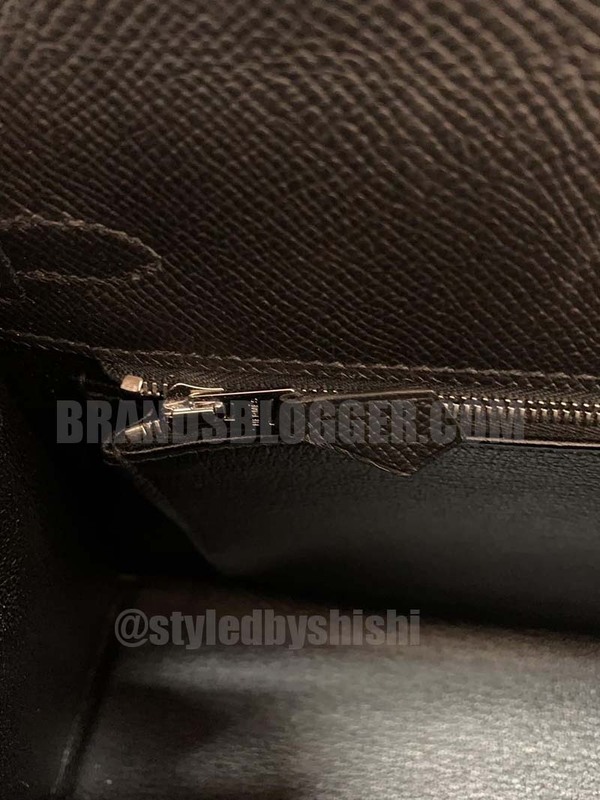 If you look inside the bag, there is an H at the end of the zipper, the poles are smooth as well, and the leather they use here is nice and soft and supple. The stamp on the zipper is crisp. 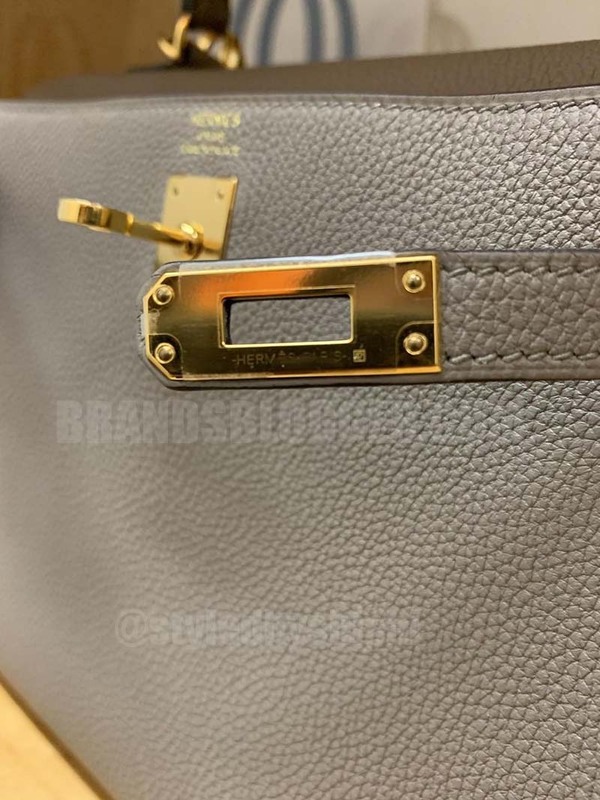 Even in the fake, you can find the H at the end of the zipper but it’s not as crisp, as perfect, from the quality you can tell that this is not a Hermes product.in the fake, the zipper is not so smooth and it hardly closed and opened. 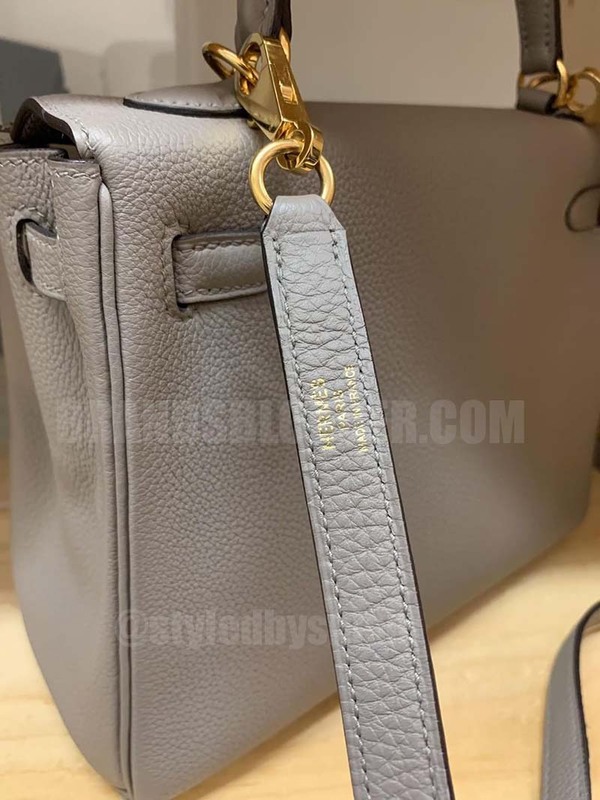 Now I’m posting some photos of an Authentic Hermes Kelly. I want to thank @styledbyshishi for the amazing pictures of her Kelly bags, check her amazing IG Account. She is such a lovely person, so kind. Thank you so much for reading this article. Share and comment below if you liked it and if it was helpful to you. For any further question we will be happy to assist you.